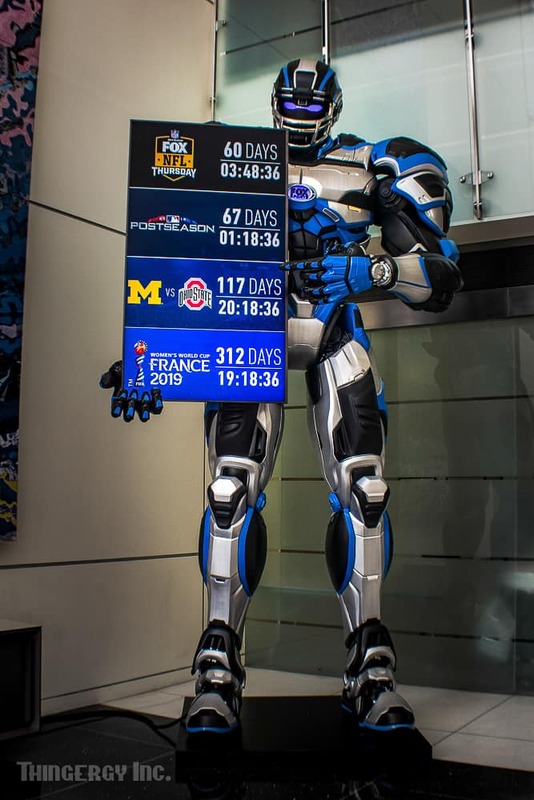 FOX SPORTS | CLEATUS: 14FT TALL ROBOT | THINGERGY INC. 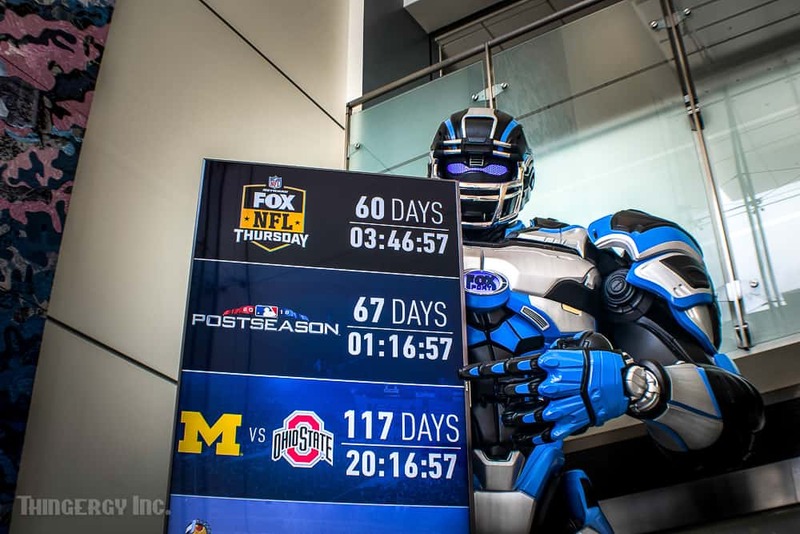 In 10 short weeks, we created this 14ft tall statue for the lobby of FOX Sports. 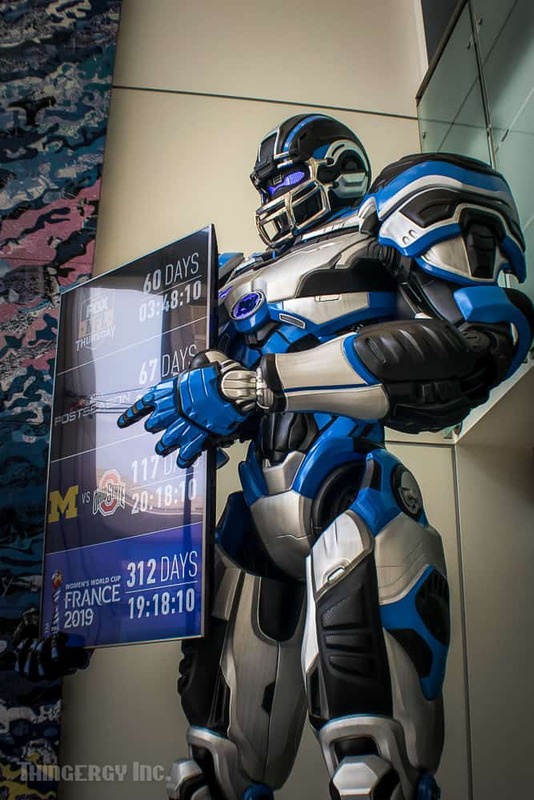 It holds a 75in television for displaying scores and information. 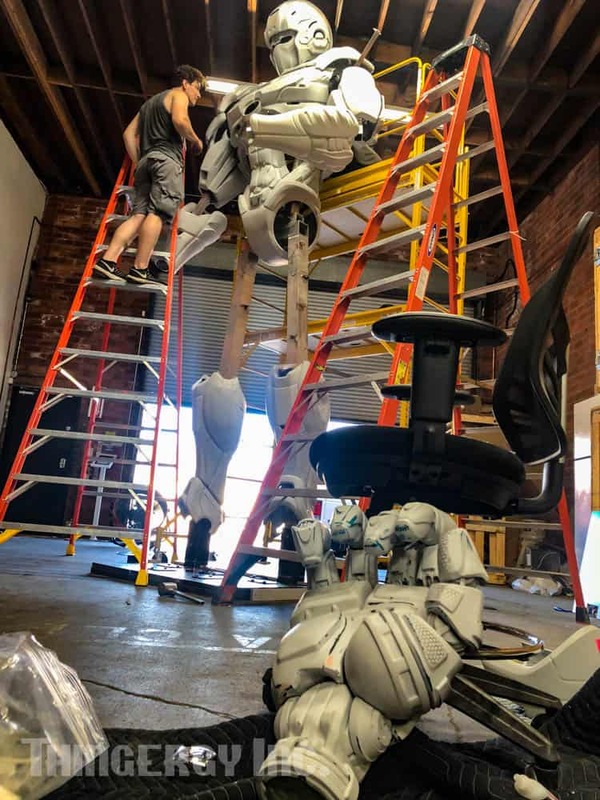 Cleatus sits on an aluminum frame that is attached to about 2000lb-ish pounds of metal as its base for stability. 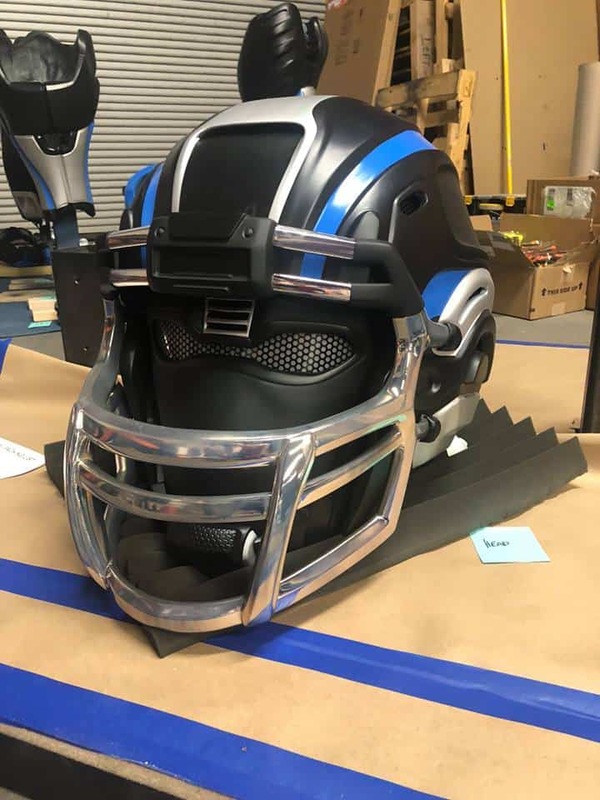 Each piece was 3D printed using our in-house printers, while some were outsourced. 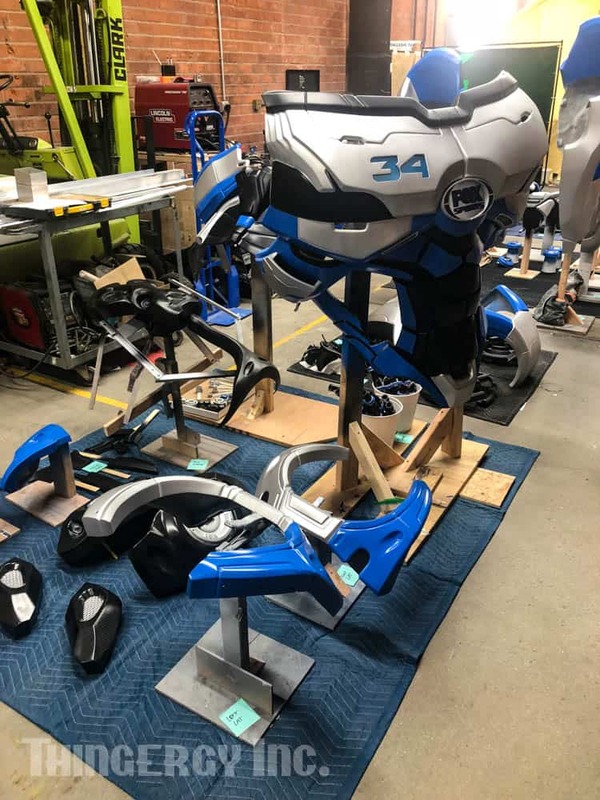 Each piece was then assembled, body shopped, test fit, painted, and any additional details were then added before final installation. 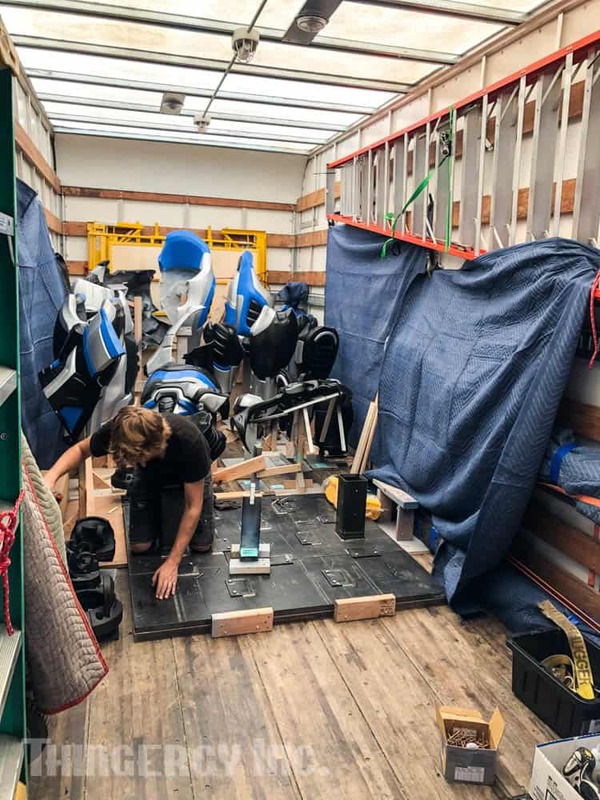 The whole project was transported in a 23′ truck along with an army of cars carrying more delicate pieces. 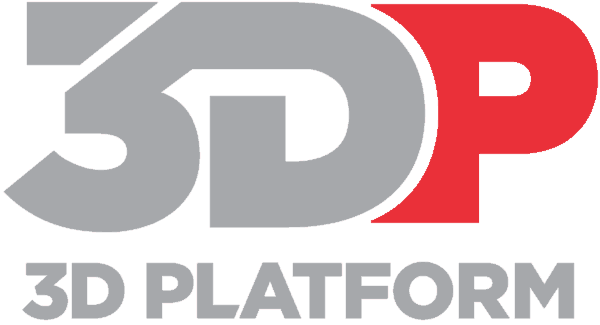 Sometimes we can’t do it alone and have to lean on some awesome people like Scicon and Massivit3D. 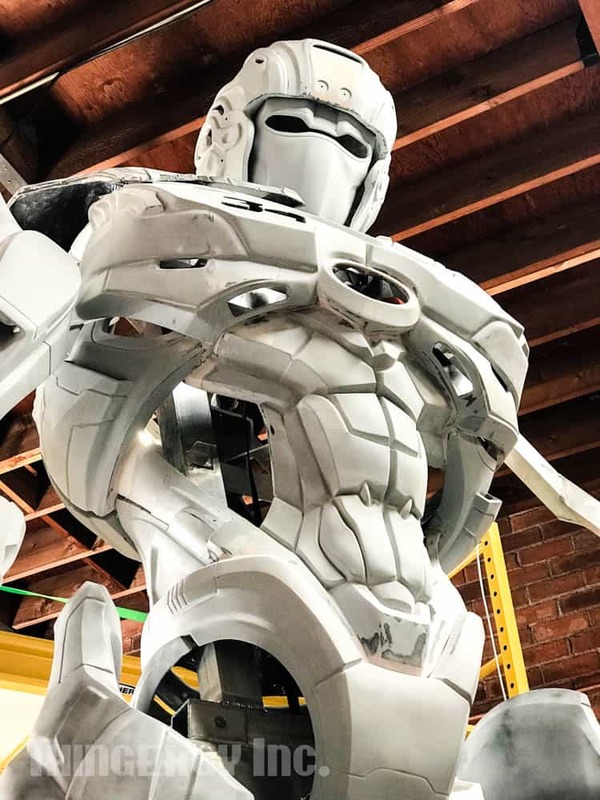 3DP 3DPLatform | Thingergy And 3D Platform Create 3D Printed Giant Robot For Fox Sports!